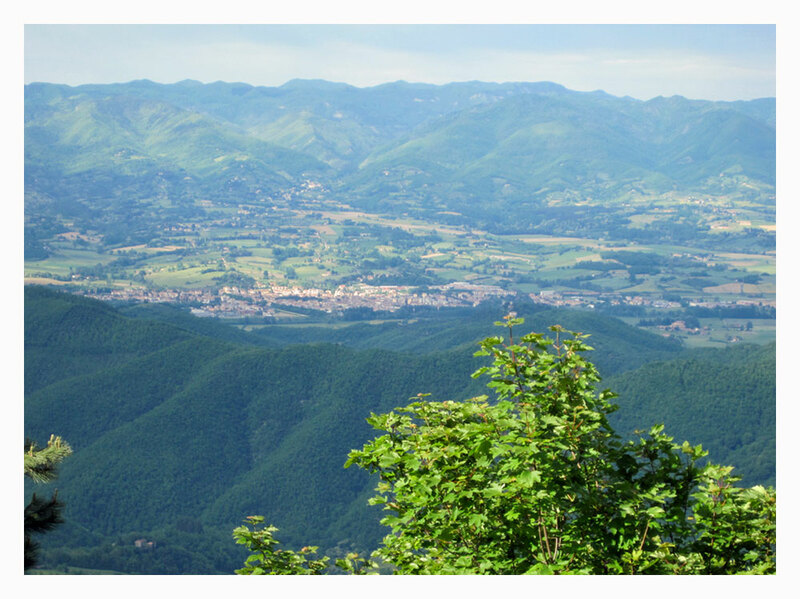 The Mugello is an incredible region of Tuscany. It begins just up the road from us to the north around Borgo San Lorenzo. But the really amazing stuff happens about an hour north of there, where the low mountains climb higher into spectacular peaks, enclosing deep green valleys. 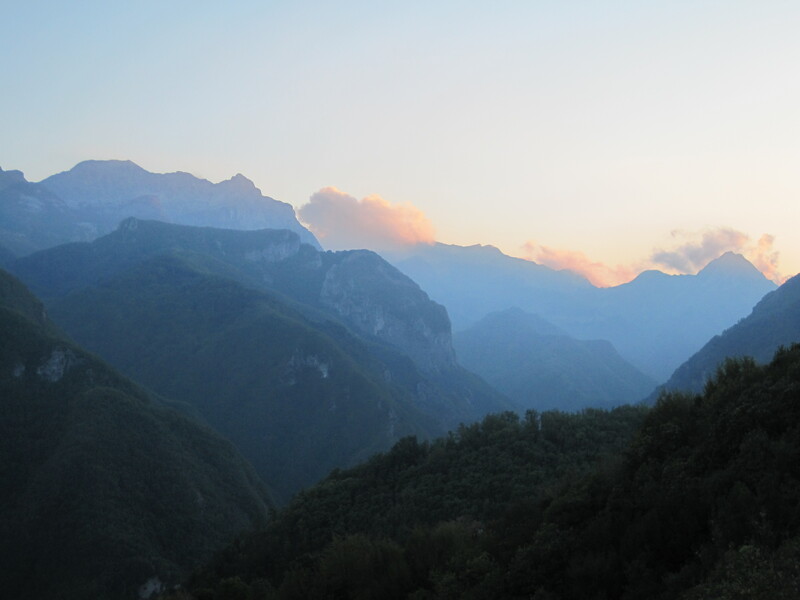 Known as the Alpi Appuane, Apuan Alps, they provide an endless panorama with inspiring views all around—known for its world famous Carrara marble, it is a place where hiking and trekking expeditions abound. A friend told us about a great event that happens every May in the Appuane. It is called the “Mangialonga,” roughly meaning to eat long, but we like to think of it as the long feast. There are many throughout Italy, but this particular event was started by two friends about 20 years ago. The thought of combining two great pastimes: walking and eating within such beautiful scenery makes a lot of sense. The related Slow Food movement was born in Italy to counter the ever-popular fast food culture. Each spring the community sponsors this event that runs along varied trails for about 24 kilometers (14-15 miles). The walk is divided into different stations where there are planned stops, so that the walkers may eat cheese, prosciutto, fruit . . . you get the idea. By the time they’ve finished the trek, the meal is complete, along with great exercise, good conversation, and an unforgettable day in the majestic mountains. Nearing the end of our conversation, Stefano said that he had spoken to his friend who had co-founded the event and they wondered if we would consider writing a song in memory of his original partner who had passed away about 6 years ago. I was touched by the sentiment that they wanted to create a memory piece for him after such a long time. I was also taken aback that Stefano asked us to write some music. At first, I chuckled at the thought of it as if he must be joking, but then the brief silence that followed suggested that he wasn’t. When someone touches another person’s life in a significant way, they become woven together into a fabric, somehow creating an unbreakable bond. Even though no longer here, they are never really gone or forgotten. Note: You may also enjoy our other stories about hiking in Europe.